Our work is inspired by stories – we want to capture the reasons you feel connected to each other and the place you're saying your vows. 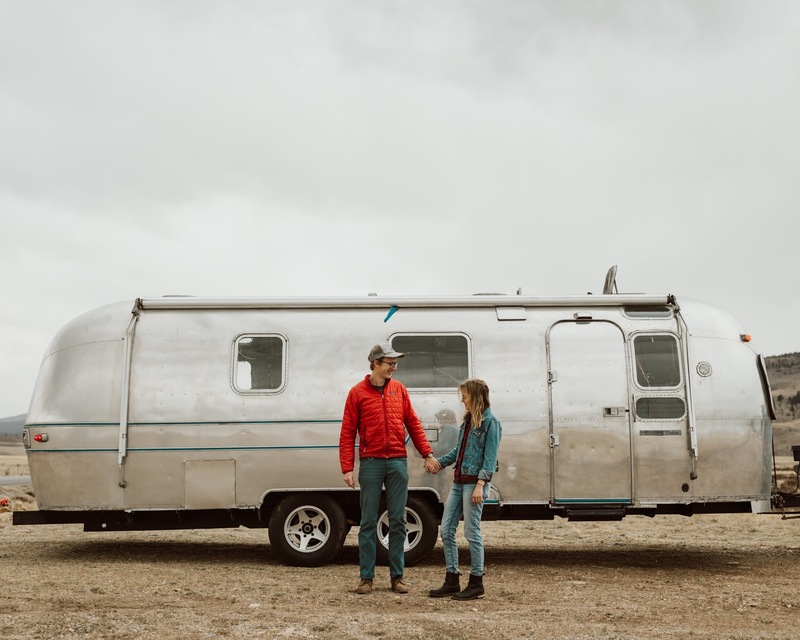 We are Nate and Megan Kantor, a married wedding & elopement photography team living full time on the road in our 1974 Airstream. We are first and foremost adventurers—we love climbing, hiking long distances, and exploring anywhere with dusty backroads and wide open views. To tell you a bit why we love our job so much, I have to first tell you our story. In July of 2016 we arrived back home to Texas after hiking 1100 miles through California on the Pacific Crest Trail. It was three months of real, full-time adventure—hiking 20+ miles a day on our own two feet, living in a tent, climbing mountains and crossing rivers, carrying everything we needed on our backs. That experience changed our lives for good. We knew after that we couldn’t just do weekend trips anymore. We wanted to LIVE for that type of adventure. So we packed up our car, built a camper in the back, and drove north to Colorado with cameras in hand and a desire to tell stories for couples like us who are undeniably in love with each other and the outdoors. Since then, we’ve been traveling all over the American West (and beyond) capturing intimate weddings on mountaintops and adventurous elopements on desert cliffsides. We love our job because it puts us outside—we get to explore sandstone cliffs in Moab, alpine lakes in Colorado, and glaciers in Patagonia. All while photographing couples who love these places as much (or even more) than we do. Our wedding in Big Sur, CA. Photos by Andrew Czap. We believe in big, adventurous, meaningful love stories. A lot of our inspiration for our work comes from our own story. I don’t think we could have accomplished a lot of the things we’ve done together if we hadn’t met each other. There’s something powerful about being known fully, loved deeply, and truly believed in. The crazy things we both dream about, we also both fully support. And I think marriage is a deep commitment to helping each other pursue wild ideas. We work with couples who believe in the legacy of their story. Those who want something a little deeper than the traditional, who would rather experience culture than trends, who seek after messy hair and dirt under their fingernails and good memories to share. 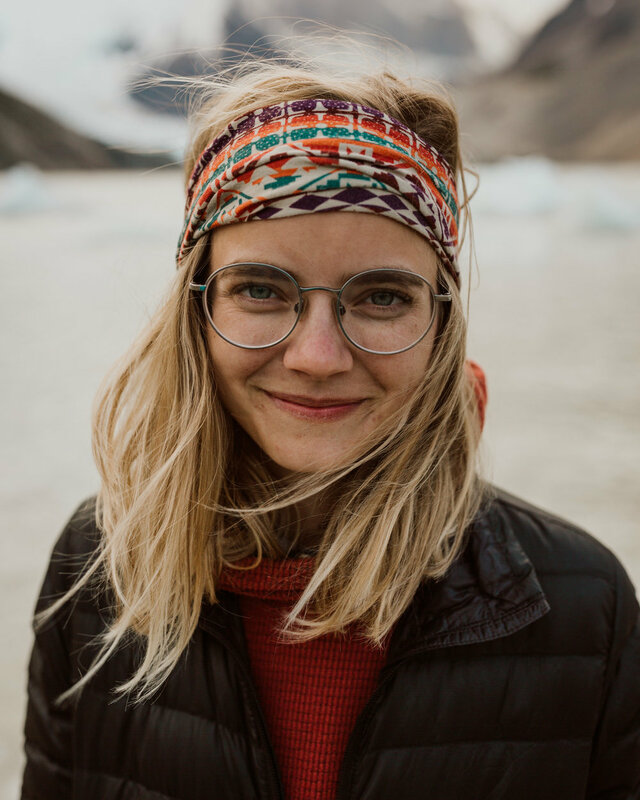 Whether that’s a cliffside vow reading in Moab, or a challenging scramble to a glacial lake in Patagonia, or an intimate family gathering at a vineyard in Argentina, we are all there – ready to capture your values, legacy, and authentic, imperfect moments. We aim for our photos to be timeless and real. Because when you look back on your wedding in 5, 10, 20 years and are sharing the story of your marriage to your kids or students or grandkids, that they feel the same sense of wonder that you felt the day you promised forever to your partner. Your love is so important and deserves to be documented with truth. + climbed Mount Whitney, Long's Peak, and several other Colorado "Fourteeners"